Crock Pot Cheesy Bean Dip recipe made with refried beans, sour cream, cream cheese, and cheddar cheese. This is every cheese lover’s dream and is perfect for Super Bowl, game day, potluck, gathering with friends, or holiday party. 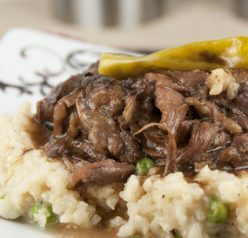 The slow cooker does all the work for you! I know I got a little distracted from posting the Super Bowl recipes earlier this week and posted a Groundhog Day cookie recipe instead, but now I’m back on track! 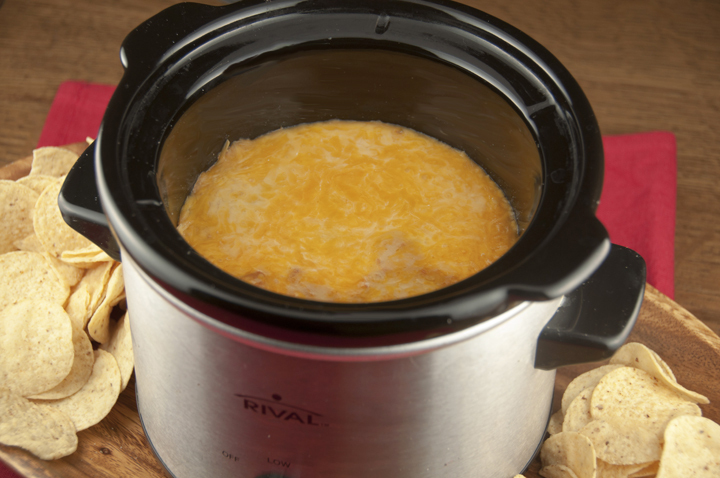 This crock pot cheesy bean dip is a great appetizer idea for football game days, potlucks, tailgating parties (as long as you have an outlet to plug the crock pot in to) and especially for….SUPER BOWL! What are you doing for the big game on Sunday? I will most likely be spending it at home cleaning up the aftermath of the huge Groundhog Day party I’m throwing the night before….and eating this bean dip. I pretty much just love Super Bowl parties because of all the yummy food. This particular dip is seriously so dang good. It will most likely be long gone before the game is even half over. It’s also super easy – the crock pot / slow cooker does all the work for you! It’s a keeper…enjoy! 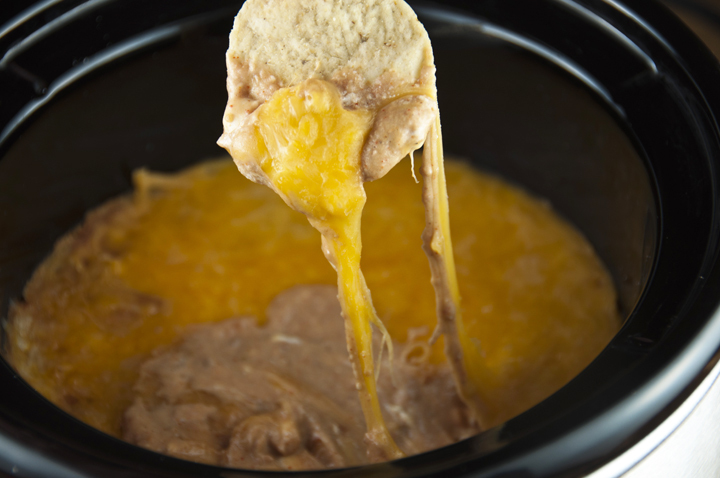 Crock Pot Cheesy Bean Dip recipe made with refried beans, sour cream, cream cheese, and cheddar cheese. 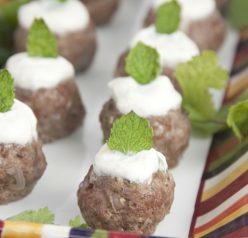 Great for Super Bowl, game day, or holiday party. Blend all ingredients EXCEPT for the shredded cheese. Spoon half of cream cheese mixture into the bottom of the crock pot and sprinkle half the cheese on top of it. Add remaining cream cheese mixture and top with remaining cheese (so basically you made 2 layers of the dip). Heat on low for 2-3 hours or until heated through and cheese is melted on top. Serve hot so the cheese stays melted and scoop out with tortilla chips. Oh wow! This looks so good! I just found out I have a crock pot, so I want to make something in it. This looks perfect! Once you use it you will never look back! I love crock pots! Wow! Ashley, suddenly I’m wanting your ooey-gooey cheese and bean dip for breakfast! The perfect game day dip for kids and adults alike. Thanks for sharing, m’lady! I don’t really watch the superbowl (maybe the puppybowl? ), but I’m having a vegiversary dinner party on Saturday. If I were a football watching kind of girl, I think I ‘d probably spend Sunday curled up near this dip! Look at all that cheesy goodness! Yum! This cheesy bean dip looks so good! I’m sure it will be gone before halftime. A groundhog Day party sounds like so much fun. I’ve never been to one of those before! I’ve never been to one either LOL Nobody has! It’s not a Superbowl party unless there are cheesy dips, and this one looks to die for! Love that it comes together in the crockpot. Thanks – I love cheesy dips! Oh hello cheesy beauty dip, let’s be friends. ASAP. 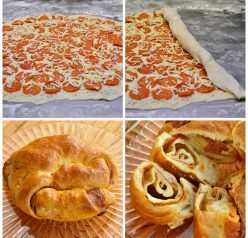 This looks so cheesy and delicious! Perfect for game day! mmmmm YES please!!! Love making dips in the slow cooker! Ashley this looks delicious! All this football food, ah just food in general is making me hungry. I love chips and dips 😀 Pinning!! Is this dip even real???????? Looks SO GOOD. I have never once gone to a Super Bowl party for anything other than the food! Mmm, melted cheese. this dip is sooo cheesy! love it!